As an element of our overall quality management system, Astro Manufacturing & Design’s quality planning includes inspection at key points within our manufacturing processes. Whether performed in-process by our skilled machinists or dedicated inspection personnel, physical inspections help ensure our customers receive their products within specification to the tightest tolerances. As an ISO 9001:2008 manufacturer, Astro maintains documented company quality plans and inspection procedures. Where applicable we utilize statistical process controls and sampling plans. When flow-down quality and inspection are required the customer’s specifications supersede Astro’s internal requirements. Plus, certified materials are used upon customer request with full traceability. For many applications we utilize programmable CMMs to perform extremely critical inspection work and provide programmed inspection at a nominal cost. 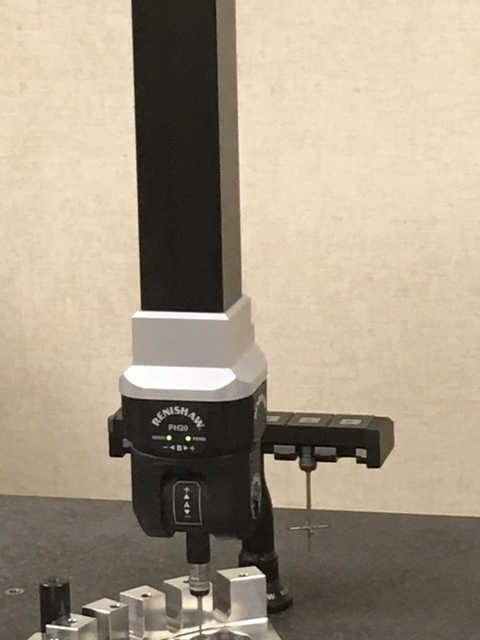 Along with high accuracy manual CMMs to supplement a full series of height gages, micrometers, comparators, and other indicator tools to perform 1st piece, in-process and final inspection Astro makes sure quality is our first priority. For flat components used in fabrication Astro uses specialized equipment for fast and accurate inspection. Parts are placed on a glass screen and electronically scanned and measured. This process helps to ensure fabrication components are within specification every time. At Astro, our commitment to the manufacturing of tight tolerance, precision components requires inspection tools and equipment with very close tolerance capability. Whether we are verifying medical components, aerospace components, military system components or other applications our quality and inspection team ensure we meet the most stringent specifications. Our customers frequently require complete surface plate layout inspection documentation to ensure our manufacturing processes are refined for the production of critical components. Surface plates are located in our quality assurance labs and on the manufacturing floor for critical verification applications. Astro Manufacturing & Design is renowned for our commitment to quality. Contact us today to learn more about Astro Manufacturing & Design’s inspection services.